Nothing really visual new this week so no screenshots. 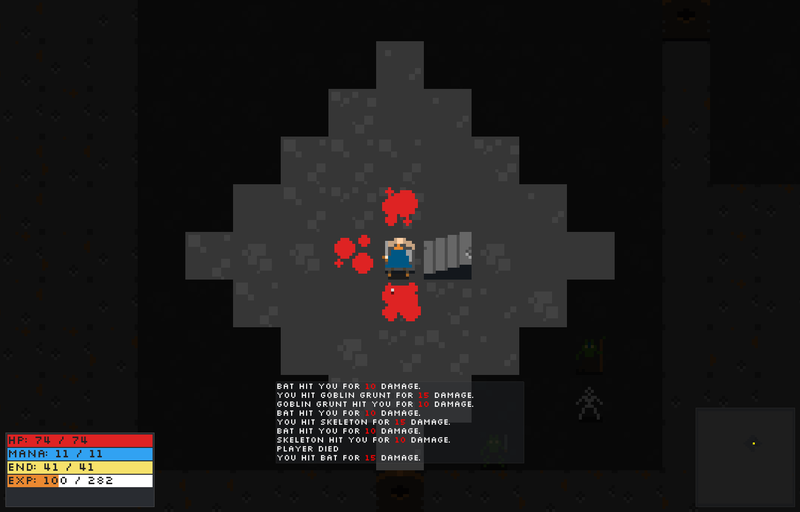 I did a bit of refactoring and fixed some bugs. Moving from a inheritance model to a composition model, not going full ECS but enough so that I am not duplicating code for every object. 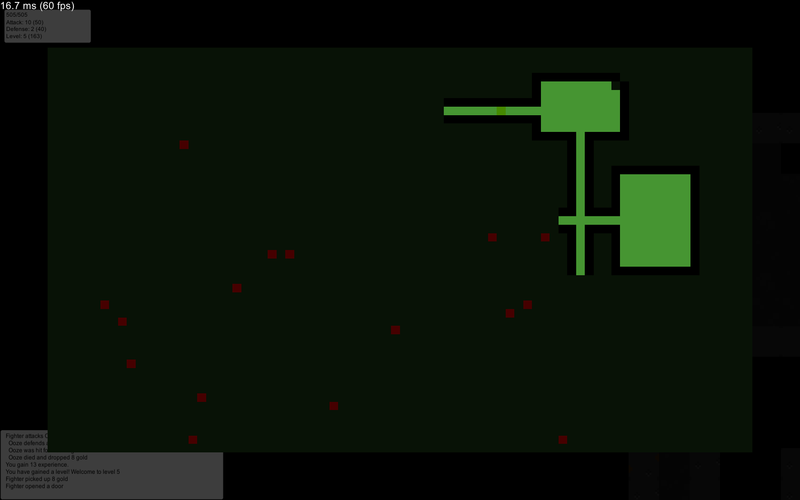 Investigated moving to SpriteTile but didn't really like it vs the default Unity Tilemap. Rewrote my FOV to use its own layer vs changing the colors of every sprite on the map. This coming sprint I am looking to finish up the conversion to the component system. Small update this week, didn't have much time but I added a few "props" to the game. Chest, crate, torch and urns, they have either a loot or break action. Looking to do inventory next sprint and add loot to these props. 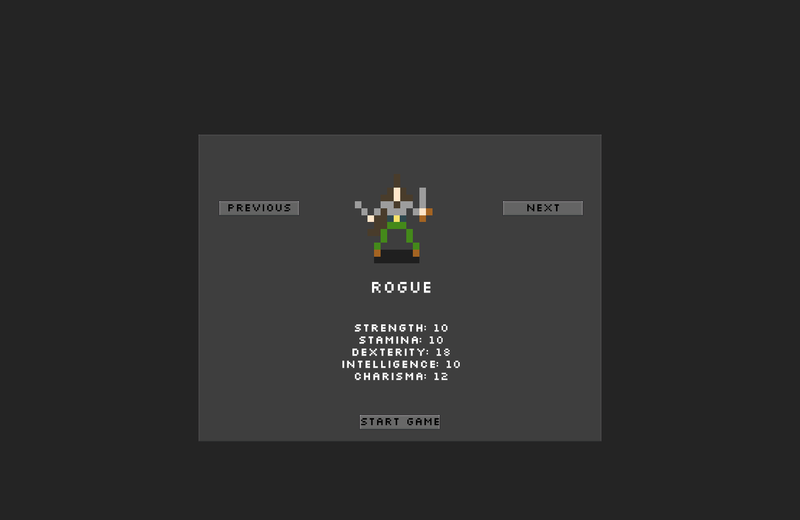 Last year I started to work on a 2d roguelike after some time with it I inevitability got busy with other things. A few weeks ago, I figured I would give it another go and start over. 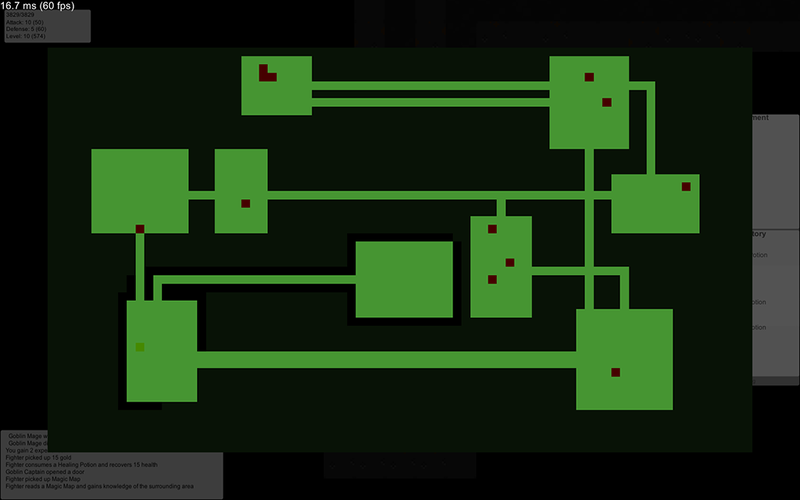 I got rid of most of the code and redesigned how I was going a turn-based game in Unity. 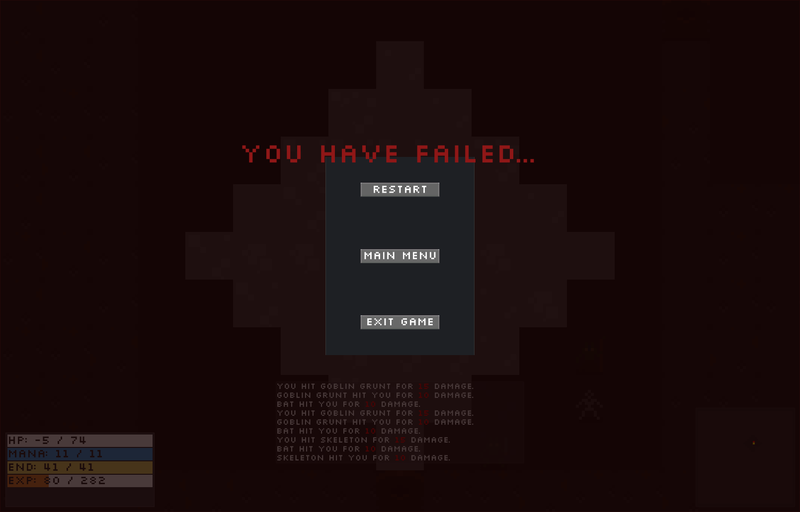 In the previous version I had some issues with the AI running inside of Update() causing a lot of wasted frames. 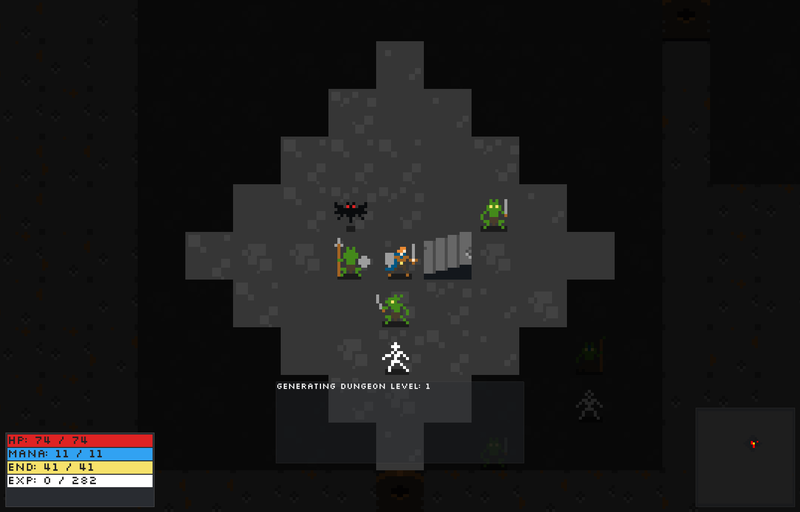 I am going to continue using the Oryx Tiny Dungeon set and see if I can make my money back. 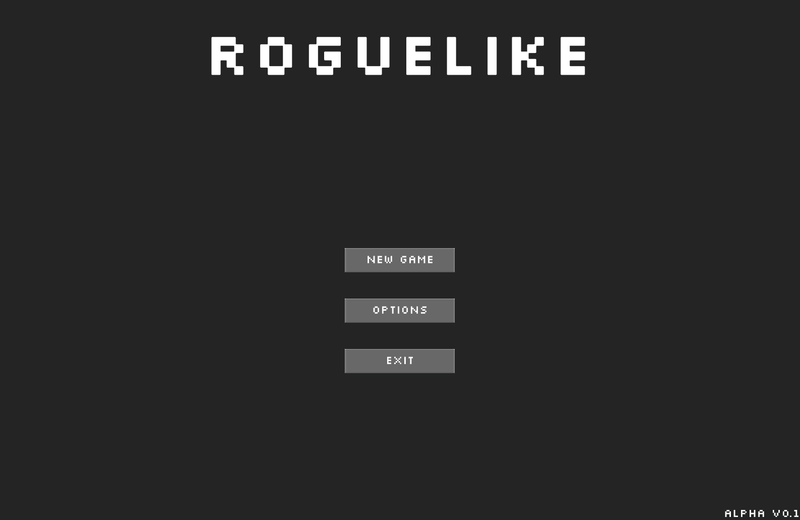 I am still using Roguesharp but only really for the map generation. I also switched from SpriteTile to the new Unity TileMap system, but I am considering switching back as the TileMap is broken on WebGL at the moment. 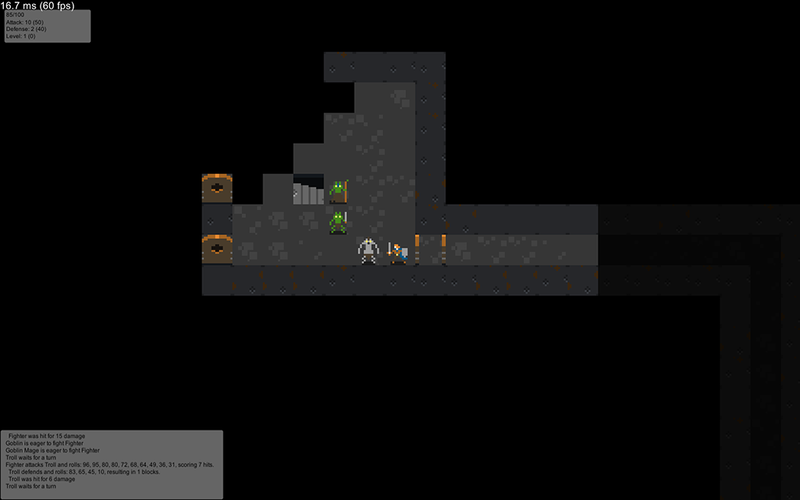 The Unity tilemap system also seems to really slow down with maps greater than 100x100. Working to catch up to where I was before, I have implemented most of the core gameplay loop. 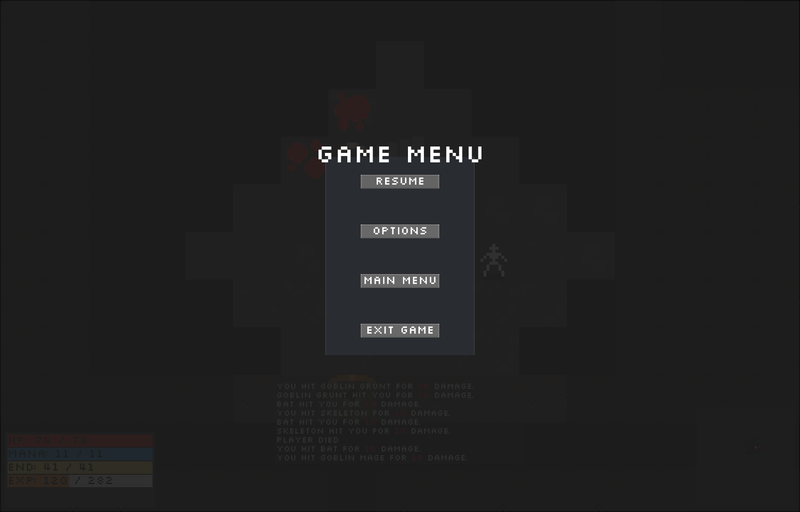 So, there is a main menu, simple character selection, basic combat, death. This time around I built out spreadsheets with all the data in it for easier editing and loading. Much easier to design formulas for RPG statistics in Excel. Nothing is really balanced yet and I have that planned for a future sprint. 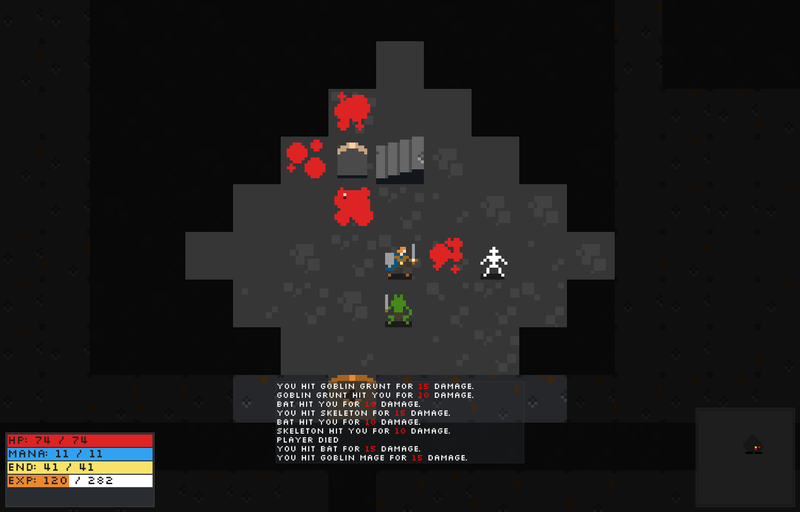 Working towards finishing up all of the core mechanics like inventory, loot and other gameplay features. I haven't thought of a good name yet, and I am still working out a story. That's all for now, back to work. My first attempt at some melee animation. You cannot see the mouse in the gif, but the sword goes in the direction of where the mouse was clicked.